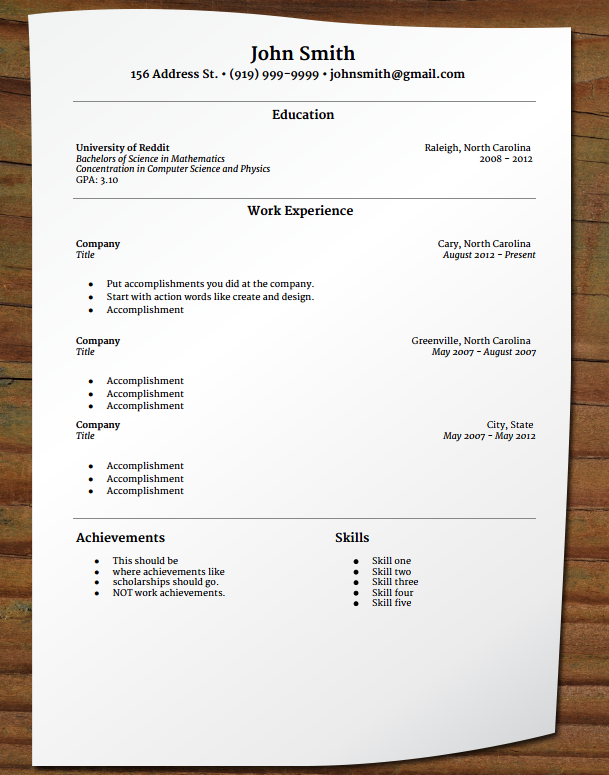 A free basic resume template that features your education, your GPA and more. Tips for this resume: in the achievements section, only put scholarships and awards like Dean's List. You will need to keep this resume to one page in order to keep the formatting. Management career could be very rewarding however one needs to plan well in advance and you must visit useful site to manage all type of work. Thank you for the informative post!